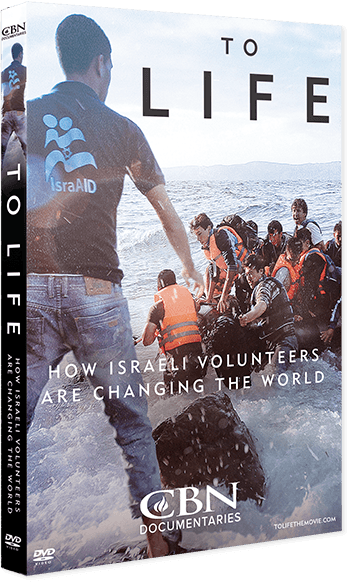 The Inspiring Story of How Israeli Volunteers Are Changing the World! Since its founding in 1948, Israel has provided humanitarian aid to millions of people in 140 countries. To Life looks at five Israeli organizations dedicated to helping people in the Jewish tradition of Tikkun Olam ("Repairing the World"). 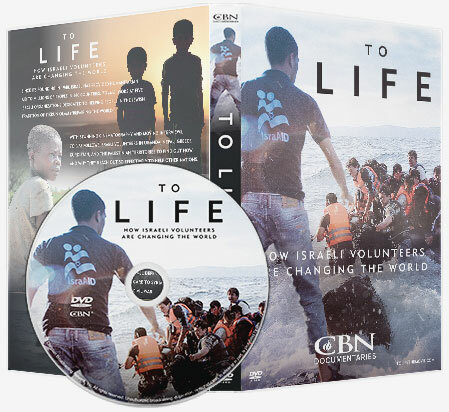 With stunning cinematography and moving interviews, To Life follows Israeli volunteers in Uganda, Nepal, Greece, Kurdistan, and the Palestinian Territories to discover how Israel is fulfilling ancient prophecy by being a light to the nations today. "Operation Good Neighbor" is a mission by the Israel Defense Forces to provide humanitarian aid and medical care to Syrian civilians caught in the crossfire of civil war. Additional Copies available to share with friends or organizations. Order online in the USA only. Order by phone: 800-700-7000. Canada: 877-431-7887.